Oh, winter cold and flu season. How I loathe you. But when the throat tickles and nose sniffles begin, I’m glad to have this home remedy at hand. Easy to make with just four ingredients, this sore throat soother may not cure the common cold, but it makes it a bit easier to endure. Years ago, I spotted a recipe for a lemon, ginger, and honey “cure for what ails you” and decided to give it a try. As I tend to do, I embellished the recipe a tiny bit. 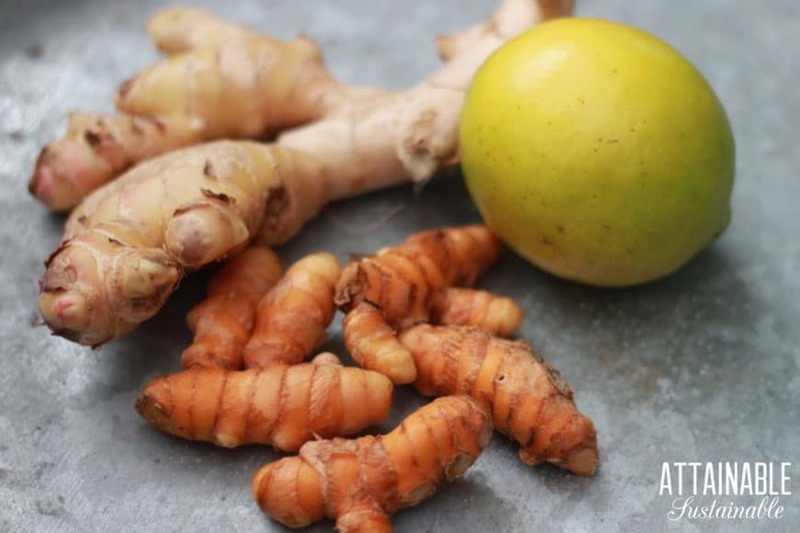 We have ‘olena (fresh turmeric) readily available here, and we all know how good it is for us. 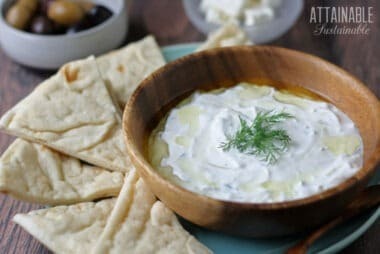 With its anti-inflammatory properties, it just makes sense to incorporate some into this natural sore throat soother. 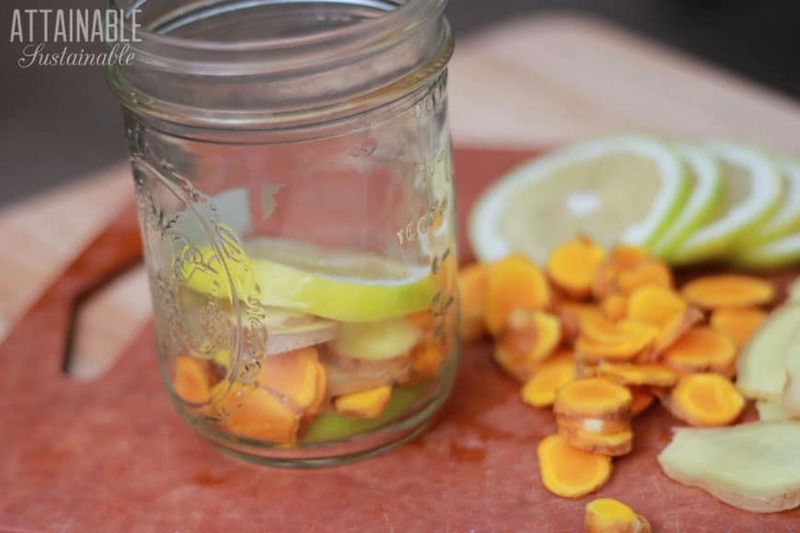 For a pint-sized jar of throat soother, you’ll need one whole lemon, about a 3″ length of ginger, and several finger-sized pieces of turmeric. (It’s the dark orange slices that look like carrots in the photo.) Slice them all thinly — a nice sharp knife helps! 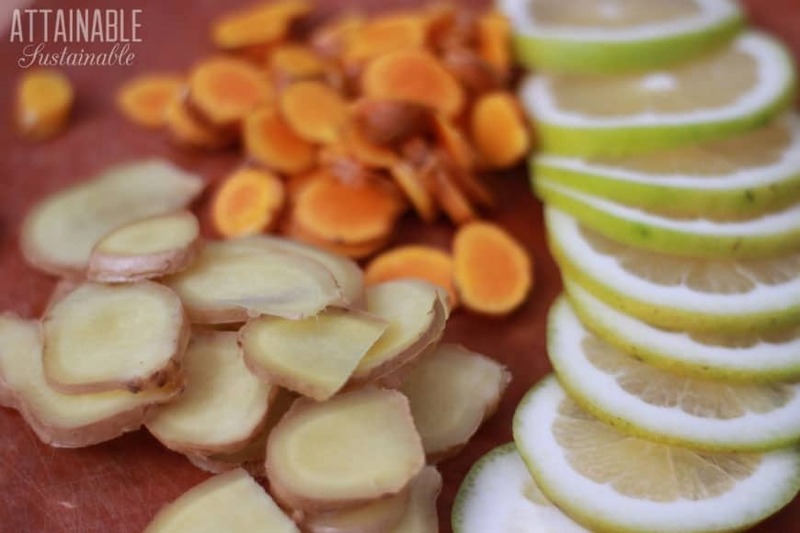 To make a batch, simply layer slices of fresh ginger, turmeric, and lemon in a jar in roughly equal parts. It doesn’t matter what order you layer them in. 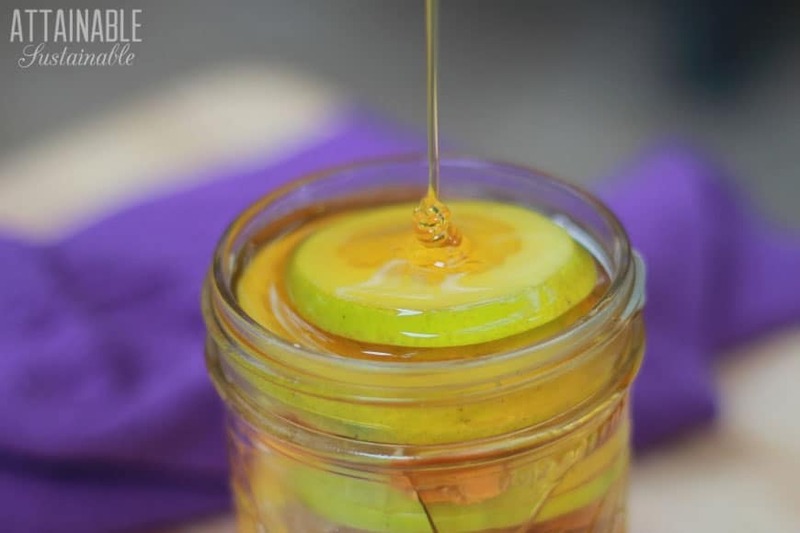 When the jar is full, pour honey—preferably local—over the slices until the jar is full. You may need to tap the jar on the counter a bit to get the honey to settle around the fresh ingredients. Or run a butter knife inside the edge of the jar to allow the honey to flow. Once full, cap the jar and invert several times to distribute the honey. If you see that the honey level drops after doing this, open the jar and add a bit more honey. 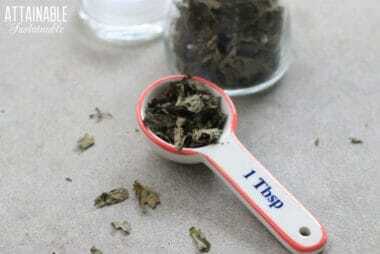 Put this natural sore throat soother in the fridge and allow to sit for at least a week. The lemons will juice out, thinning the honey down quite a bit. When you’re ready to use is, give the jar a gentle shake and pour yourself a shot – about a tablespoonful. Or stir some into a hot cup of tea. How long will it last? We kept it for about a month in the fridge, but perhaps even longer. This is good stuff. It tastes delish, kind of sweet and tangy and wonderful. And anyone who downs a shot follows it up with a nice, hearty whoop! because they could tell that it was a nice power boost for the system. Yeah, maybe a little woowoo; you gotta try it yourself and see what you think. Made with honey, immunity boosting turmeric, lemon, and ginger, this natural sore throat soother is a cure for what ails you when cold & flu season arrives. Layer sliced ingredients in a glass jar to the rim. A wide mouth jar makes this easier, but it's not necessary. 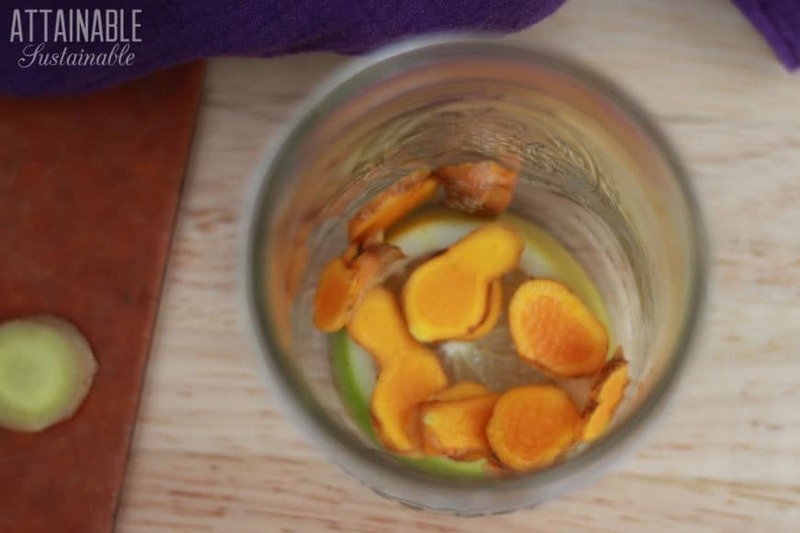 Pour honey over the top of the turmeric, ginger, and lemon. Seal jar and shake gently. Store in the refrigerator for a week before using. You may need to tap the jar on the counter a bit to get the honey to settle around the fresh ingredients. Or run a butter knife inside the edge of the jar to allow the honey to flow. When you’re ready to use is, give the jar a gentle shake and pour yourself a shot – about a tablespoonful. Or stir some into a hot cup of tea. 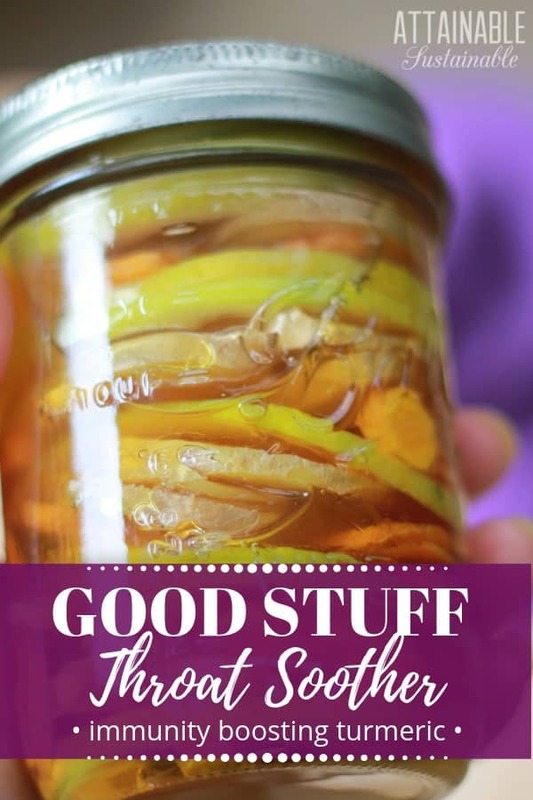 Have you tried making that into a ferment? Take out the honey and add a sugary fruit apples or oranges. Let it sit on the counter. I’m going to give it a try. oops… I just read: turmeric. Sorry about that. How long did you let it set before sipping, I made a master blend, but might make some of this too. It depends how much you make. 😉 Just layer the ingredients in a jar to fill it. Also nice in a hot cuppa. Works well with most herbal teas too. Just a teaspoon here and there. It’d b a great hot toddy with ginger brandy! 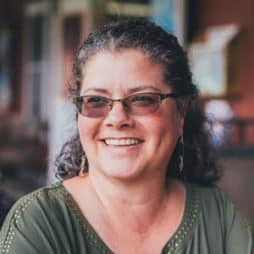 I’m in Hawaii, so I can get it at the farmers markets. You might try an Asian grocery, if you have one nearby. I get mine at our international store here in Denver, it’s called the Hmart. Sprouts also carries fresh turmeric now, too. Adding pepper would increase the efficacy of the turmeric by 3 x’s, fermenting it considerably more.